Double pane windows are a type of window that consists of two panes, thus the name double pane. This type of window is so simple that some people may think it borders on generic. However, there is more to double pane windows than just having two panes. Simple double pane windows make use of air between the sheets of glass. High-end ones, on the other hand, make use of argon or krypton, which are both noble gases. Double pane windows also make use of specialized low-emissivity glass. This type of glass is designed to reflect heat towards one direction. Of course that direction would be preferably outwards. However, in cold climates the inward direction is preferred. Double pane is actually an old technology. Double pane windows can be traced back to 1935, when they were invented. The design is really meant to improve heat insulation. Through the years though, manufacturers continue to find ways to improve the technology. One of the benefits of double pane windows has already been discussed. These windows can bounce heat towards the homeowner’s preferred direction. So, a double paned window in a hot climate can reduce energy consumption to up to 18 percent and in a cold climate can reduce energy consumption up to 24 percent. However, more improved technologies can improve the savings to up to 30 to 50 percent. 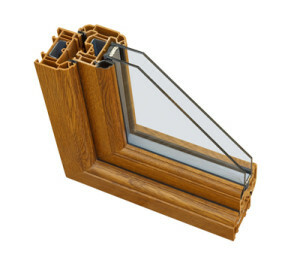 So, it is best to choose double pane windows that also use new technologies. With a double pane window, the homeowner or office owner does not just save on utility bills but he or she also helps preserve the environment. With an energy efficient window, there are fewer greenhouse gas emissions and fewer fossil fuels are burned. With such a window, the homeowner or office owner do not just keep heat in or out but also keeps noise out. The double pane helps reduce the amount of noise that gets in the house or office. Most popular brands such as Andersen, Milgard and Pella carry them. Since the homeowner or office owner is investing, he or she must make sure that each of the windows in the home or office will be changed. If some of the windows are old or of a different style, a double window will not be able to deliver the desired effects. A double pane window can be expensive. So, it is best to go for the best ones if a lot of money will be shelled out anyway. Poor quality windows will not be able to give the proper insulation needed to save money on utility bills. Double panes can seem pretty generic at first.